Planning of our SURREY RUN 2018 started in July last year. We chose a new venue for this event with the final destination being Chiddingstone Castle in Kent. Another new attraction this year was that we were joined by a major sponsor Belmont Garage MG, the MG main dealer covering the Epsom Area. As usual I had been keeping a keen eye on the weather forecast for some days leading up to the event. We had experienced exceptional good weather and this was predicted to continue past Sunday 15th July, the day of our Run. This charity fund raising event is still proving to be very popular. We had plenty of entries pre booked and many more turning up on the day. 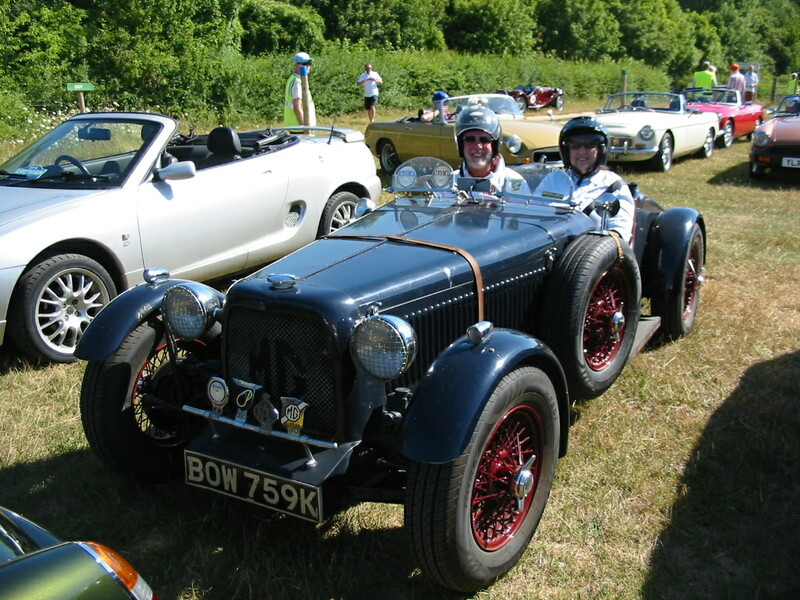 As in previous years, the start point was once again hosted by Bocketts Farm near Leatherhead in Surrey. They reported a record uptake in breakfast meals. 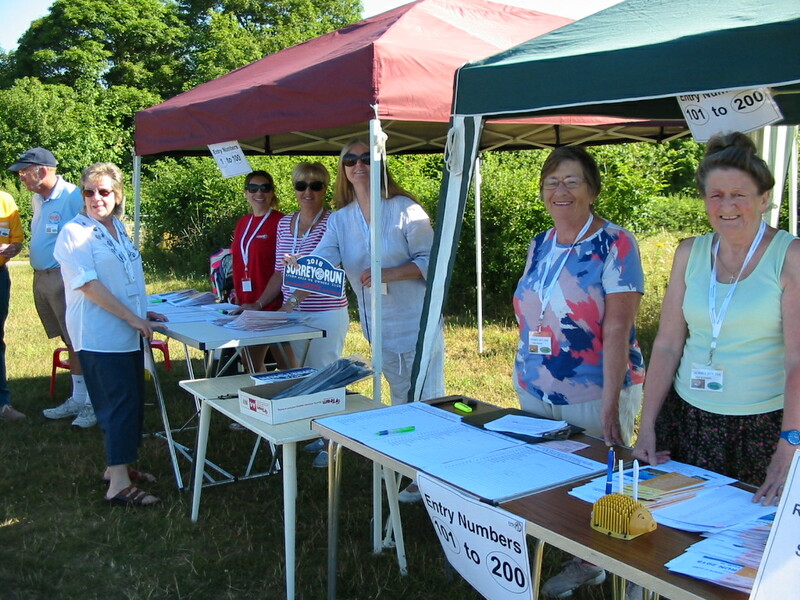 The registration facilities were operational with route instructions and rally plates being handed out by about 8.30 with the first departures during the next hour. This left time for the possibility of a cooked breakfast or a vital trip to any other facilities that may be required before setting off under the official start banner. This moment was captured by our resident Photographers Kim and Tom, who were ready to photograph each car as it set off. 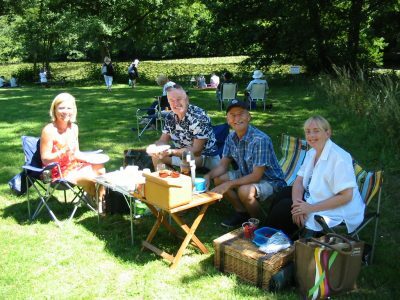 If you have not already ordered a copy of your special photo, then please contact Kim via our Epsom Area MGOC web site and for a small sum she can provide you with a memento of this occasion. Once again our Route Master, Foggy, had carefully planned the journey covering a distance of 60 miles through picturesque Surrey, Sussex and Kent countryside. This year it presented itself as no real challenge as this part of the world is an absolute delight passing through many country villages. Once established, the route was checked by two independent Club Members and then rechecked by Foggy two days before the Run date. It was at this stage that we discovered a road closure very near the start point and a last minute detour had to be implemented. The Castle building in 35 acres of informal gardens it is on a site with origins dating back to the 1500’s. In the 1670’s an early Tudor timber frame dwelling was transformed into a High Street House before taking on the style in 1792 of the castle that is seen today. It has breathtaking views of the Greensand Ridge below the North Downs. It has large lawns for picnics, a tea room, a rose garden and a Grade II Victorian Orangery. Following the lake and crossing the wooden bridge leads directly into the picturesque Tudor village of Chiddingstone. Inside the Castle, we saw a number of rooms including the 19th century kitchen that retains many of its original features. 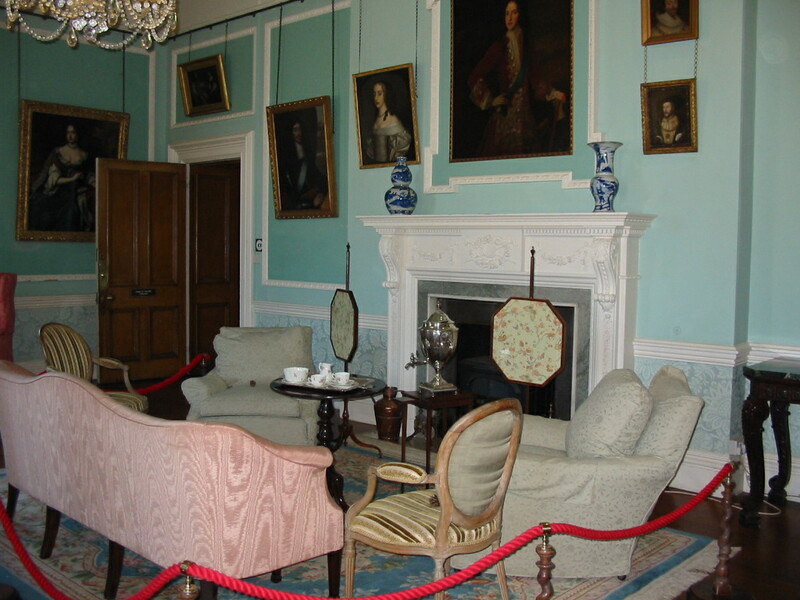 There is also a servants’ hall and a servants’ bedroom. The Castle also holds some archives of local history. In 1955, the castle was purchased by a former bank clerk and antiques dealer called Denys Eyre Bower in order to display his Japanese, Ancient Egyptian, Stuart and Jacobite collections. 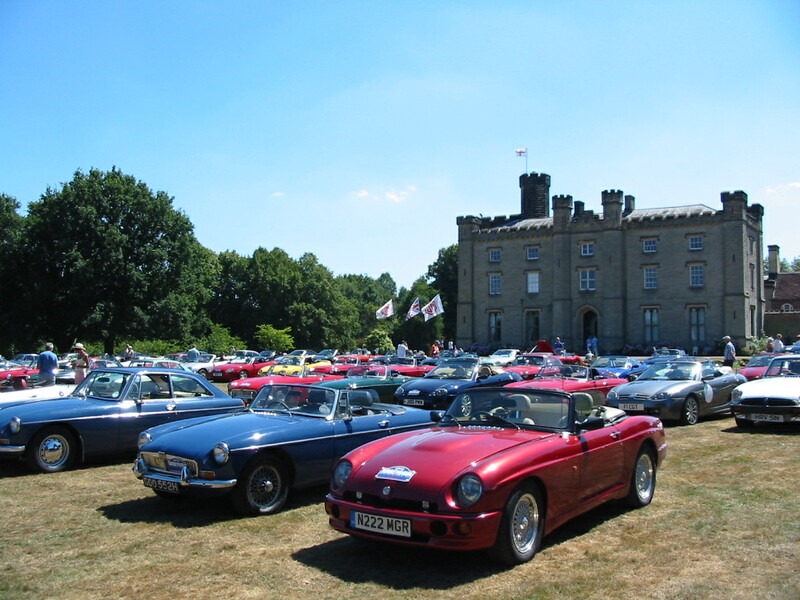 The entry fee for the Surrey Run also included admission to the Castle for both driver and passenger. 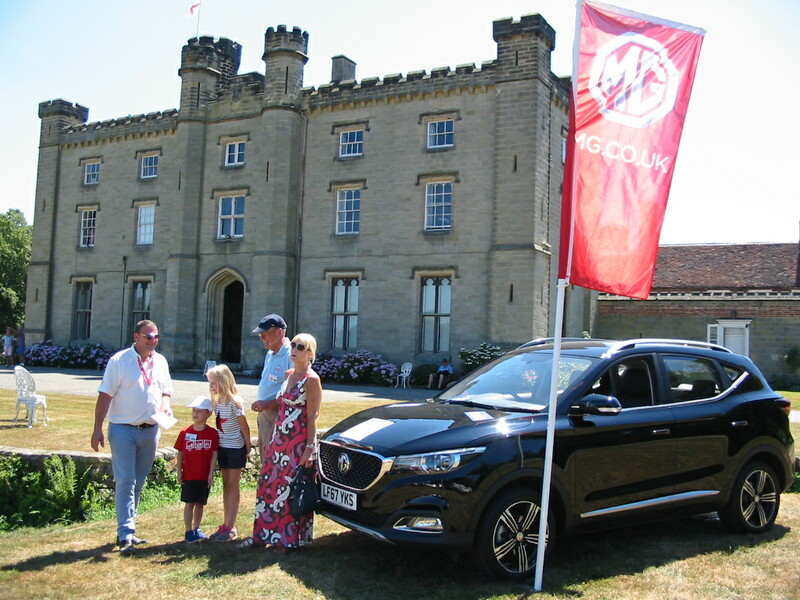 On arrival, our Epsom marshalling team had set up the welcoming arrangements with dedicated MG parking on the Castle lawns. 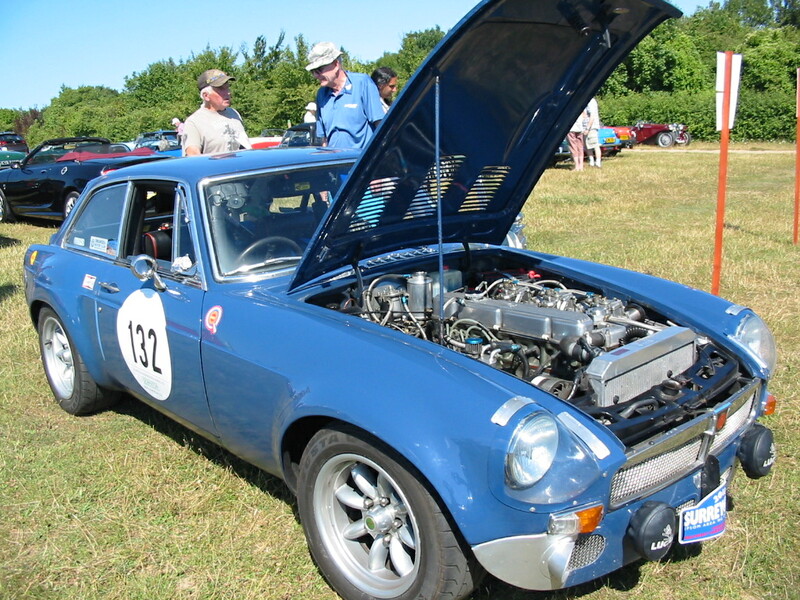 This included brand new MG models displayed by Belmont Garage MG. There were some beautiful examples of MGs taking part in the Run. These covered a wide range of ages from early T Types to the very latest examples, newly registered this year. At the start of the Run, each driver was given a Prize Draw ticket containing their unique run number to be handed in as they passed the finish post. 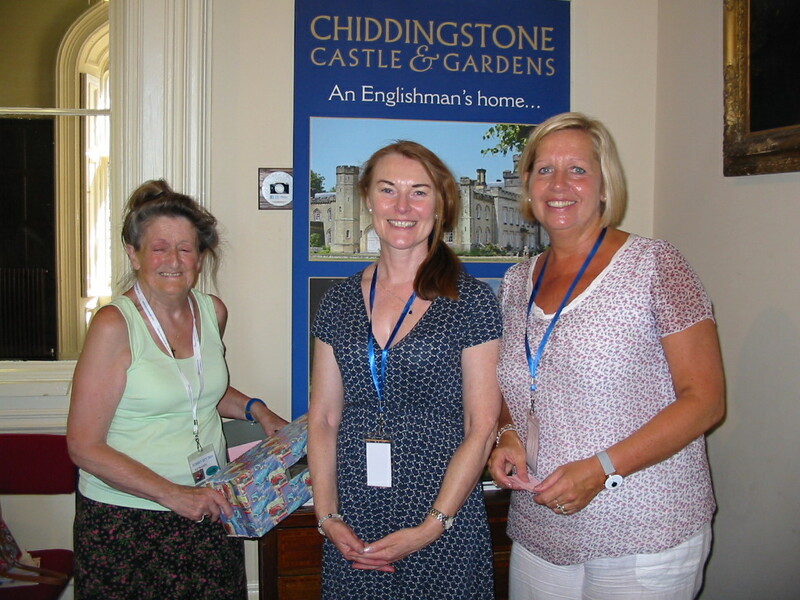 When everyone had arrived, Susan and Donna, representing the Castle management, conducted a prize draw with three winners. First prize winner was Simon Watson, from Ongar in Essex, number 126 who won a store voucher for £25. Second to be selected was Mick Dunlop, number 41 from Whitstable in Kent, winning a voucher for £15. Third prize went to Tom Joslin, number 94 from Egham, Surrey who won a voucher for £10. Once again we have received many favorable comments regarding the organization, route and venue. 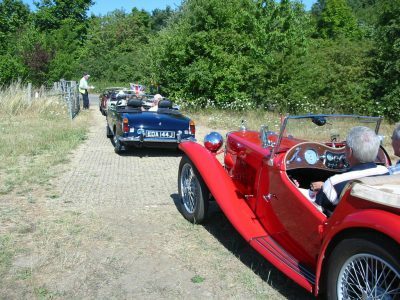 On behalf of the Epsom Area, I would like to thank the MG Owners’ Club at HQ for their continued support. Also to Bocketts Farm and Chiddingstone Castle for providing the start and end points of the route. 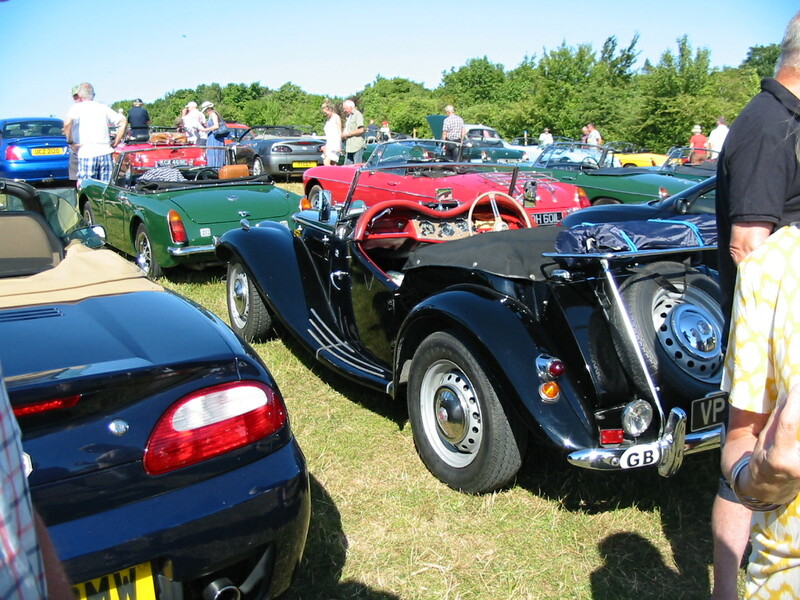 We are grateful to our major sponsor Belmont Garage MG and all our friends and MG enthusiasts for their interest and involvement with the Epsom Area MGOC. My thanks go to everyone who joined us for this event. The Epsom Area has always had a commitment to fund raising for local deserving charities. By taking part in the Surrey Run, you have provided valuable support in helping us achieve our goals for yet another year. 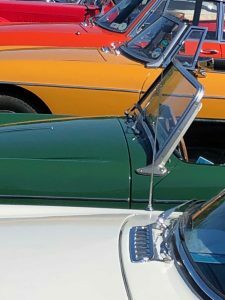 I do hope that you enjoyed the day and I look forward to seeing you all again next July for the SURREY RUN 2019.